So recently I was standing in my new kitchen reaching for a drawer because I needed a spoon, and I said out loud, “Oh, duh, wrong drawer.” Then I realized that the wrongness was that the spoons were being stored in a drawer that didn’t make ANY sense from an ergonomic point of view. They were far away from the stove and the mixing bowls and every other thing that I would ever be using a mixing spoon for. So rather than continuing to feel stupid for reaching for the wrong drawer, I switched the drawers. When I’m doing user research, I often come across this phenomenon. Users say things like, I couldn’t find the button, I expected it to be over here. And there are often trends in the feedback. The “expected it to be over here” location tends to be similar for groups of people, which means we’ve definitely “put our spoons in the wrong drawer”. We had a design recently in which tester after tester gave the feedback, “I couldn’t find the button.” (It was on the far right hand side of the screen at the top.) We reran the test with an alternate group with the button still on the right but closer to the center of the screen, and not a single tester had any issue. Sometimes when you do research, your users are speaking in code. They don’t jump up and down and scream “Change X right now, it’s ruining my experience with your product!” Instead, they frown and mutter, “Where the #$&% is that button? !” Sometimes, (often times) it’s what people DON’T mention in their feedback, that’s key. It’s the interaction they pause on, or the button they can’t find. As a researcher it’s your job to really listen when your product UX speaks to you through your testers non verbal communications. This is one of the reasons I love tools like UX recorder and Silverback. Facial expressions and pauses in click tracks are huge indicators of areas you need to work on, often more so than verbal or written feedback. 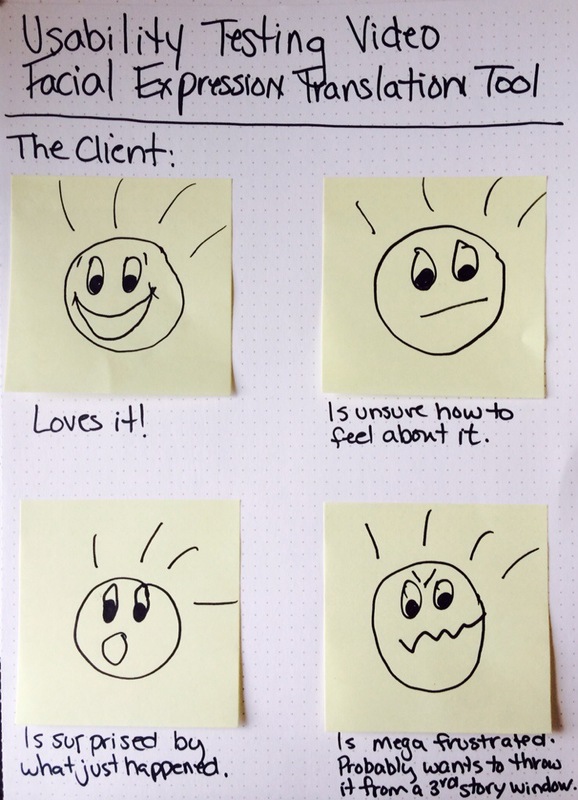 Have you ever had a tester struggle and curse their way through your usability test only to say, “That was so easy!” at the end? Always listen, but also watch and let yourself absorb what your testers are feeling while they experience your product to get a full picture of which areas you should focus on. Some of the best UX pros I’ve met are avid people watchers, and folks with tons of empathy to spare, who really tune in when people are telling them things. They don’t just listen to what testers are saying, but observe their body language, and pay attention to whether or not emotions are hitting the eyes. They’re the ones who catch it when testers are screaming silently during a usability test. Identifying the right areas to focus on can be tricky but if you really listen to what’s said as well as what isn’t said, you’ll create fabulous user experiences whether you’re working on button placements, interaction flows or where to place drawers full of spoons.